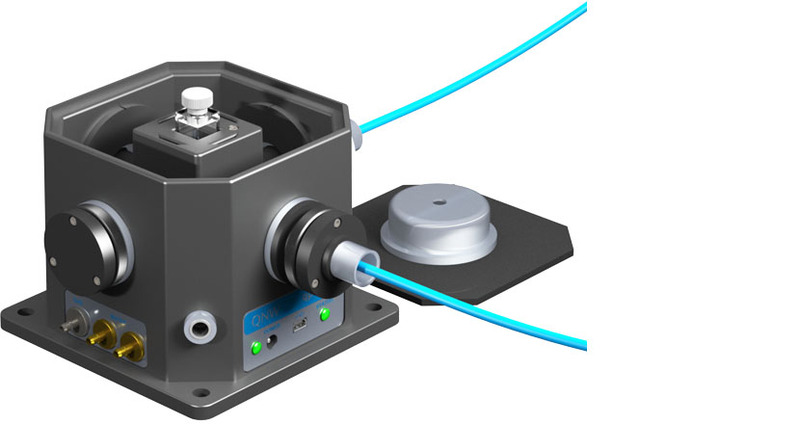 The qpod/F kit combines the qpod sample compartment with a pair of imaging lenses and two spherical mirrors, an optimal system for using fiber optics to measure fluorescence of a temperature-controlled solution. 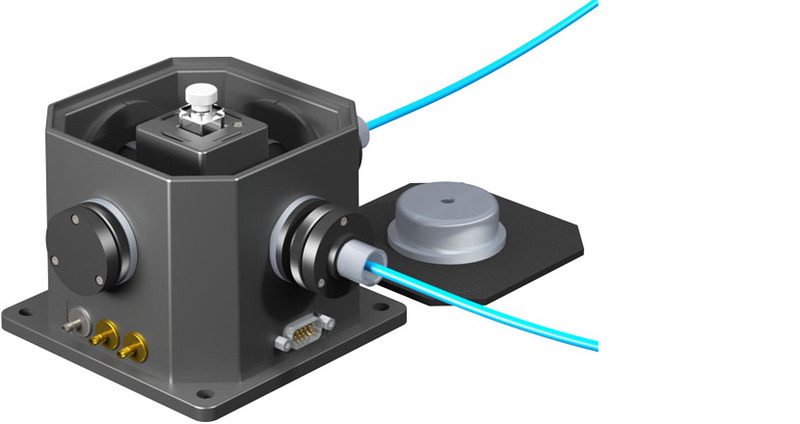 The qpod is a roughly square box about 120 mm on a side and 90 mm high. In the center is a temperature-controlled tower with optical ports on each of four sides and slit holders to control optical access. 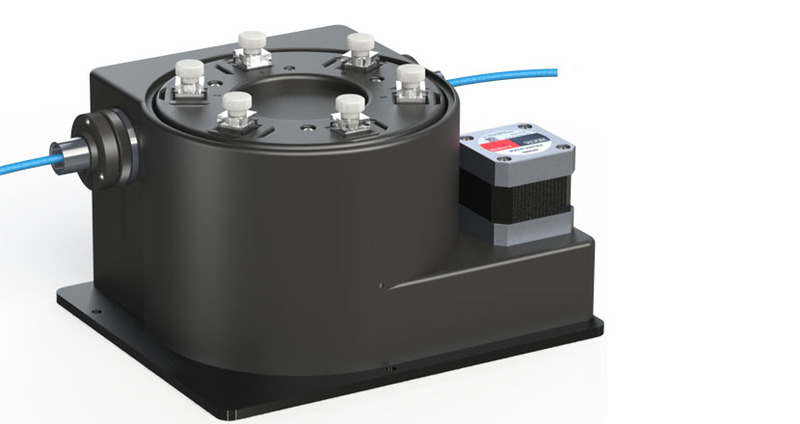 Each of the four sides of the qpod has a mounting ring for optical components, thermally stable and precisely aligned with the tower. 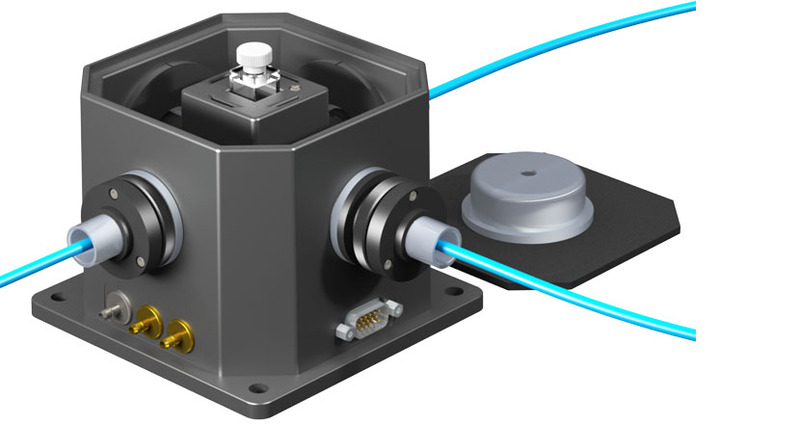 Attach fiber optic cables to the imaging lens systems and screw them in place on adjacent sides of the qpod. The incident lens system will focus the light from the light source into the middle of the cuvette. The collecting lens system will focus the illuminated volume onto the collection fiber. The imaging lens systems have a magnification of about one. A dry gas purge of the compartment enables easy use at low temperatures down to below -30 °C. The standard qpod readily achieves +110 °C. Purchase the extended temperature option to go to +150 degrees. 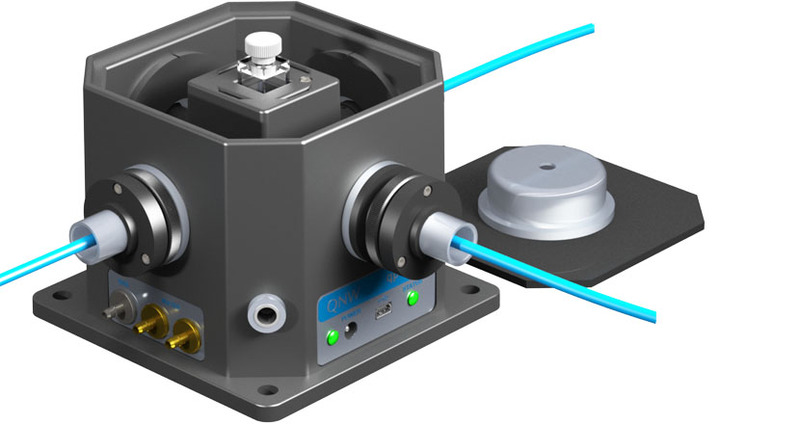 Operate the qpod on a lab bench or build it into your own full spectroscopy system. For computer control, add program T-App or write your own program utilizing simple text commands to control the TC 1 Temperature Controller.